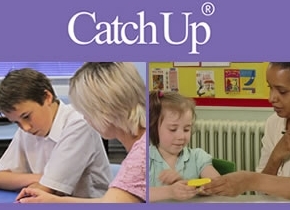 Sometimes, trainees ask us what they should do about pupils they are thinking about starting on Catch Up® Literacy, who are already good at phonics. They anticipate that these pupils will probably score well on Assessment 2: Sight word knowledge, and so will be assigned a higher Catch Up® starting level. The new Primary Curriculum for pupils in Years 3 & 4 says: ‘ …pupils who are still struggling to decode need to do this urgently through a rigorous and systematic phonics programme so that they catch up rapidly with their peers’, (and a similar statement is at the start of Years 5 & 6), so it’s not surprising that more Key Stage 2 (and Key Stage 3) pupils are proficient at blending phonemes to read words. It is worth remembering that in order to achieve a tick in the ‘can read’ column in Assessment 2, the learner must have instant recognition of the word – it must be: See it, Say it. If there is hesitation, or the learner has to blend the sounds before saying the word, it is given a dot in the ‘can read’ box (indicating that the learner has some knowledge of the word but the slower process of segmenting and blending is likely to have an impact on comprehension when reading a text). Dots in the ‘can read’ column are not counted when calculating the appropriate Catch Up® Literacy starting level. However, if the learner has internalised the blending phoneme process and is able to read the word instantly, then they deserve the tick in the ‘can read’ box and the resultant indicative Catch Up® starting level.